On a sunny Monday afternoon a little girl of 4 years was a having a drink she never tried before. As the lady poured her drink and she reached out her hand, with her Big Brown eyes & Eyebrows raised; she made a comment in Dutch "Proberen is Leren toch!" (Trying is Learning right!). That was a moment the World just paused for a sec! 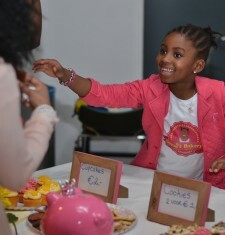 (2014) Our youngest volunteer we have at the Brighter Day Foundation On the 21st of February 2015 it was an honor for the Brighter Day Foundation to launch Genai's Bakery at the IAM Bootcamp2015. Genai’s Bakery is an initiative by Genai Chijara. A 5 year old girl who loves reading, dancing and especially baking 'delicious' cookies & cupcakes. She is raising funds for the Brighter Day Foundation- ABC project. 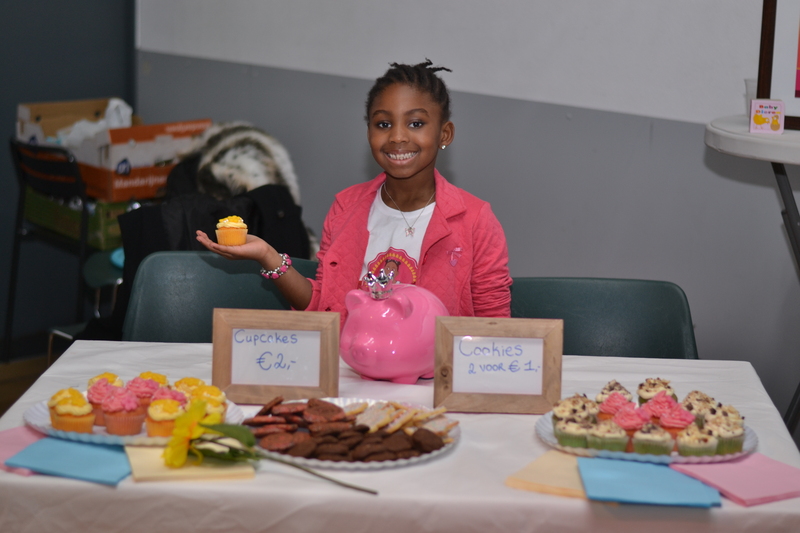 The aim was to raise funds to help kids her age; 1) Get a chance to go to School 2) Buy Schoolbooks, Educational Workbooks & Color books Targets: The Netherlands, South Africa & Ghana Thank you Genai Chijara for being an inspiration!